Jenevieve Russell, MA, LPC, CD, delights in exploring her own journey of motherhood with her family and is ecstatic about supporting expecting families. She draws on her vast, eclectic experiences (more below) when supporting families before, during and after birthing, specifically she has attended/supported births since 1996. She is deeply passionate about conscious birthing, deepening family bonds, transformation through birthing, and supporting creation of incredible birth memories that last lifetimes! Originally, Jenevieve hales from the North & South Dakotas. Boulder is now her home, as she has been here since 1999 and loves raising her family here. Jenevieve’s broad range of professional experiences include: crisis intervention, domestic violence and sexual assault agency, women’s groups, chronic pain management, mamas’ workshops, rituals & ceremonies, teaching leadership courses, leading community building and mindfulness training. She worked for 11 years at Naropa University as the Associate Dean of Students. She now works with hundreds of moms/families through Nurturing Strategies - her private psychotherapy practice, focusing on healing birthing experiences, pre and postnatal support for moms, peri-natal mood & anxiety disorders, and couples counseling. She also mentors newer/aspiring doulas and originated the Affordable Doula Network (now Accessible Birth Connection). Jenevieve is co-founder of the JOY Collective which brings together 15 leading practitioners to serve families from fertility through early parenthood. Jenevieve's professional and personal experiences give her an expertise in working with diverse families and individuals, especially single parents; LGBTQIA; multicultural backgrounds; and various income, ability and age ranges. Jenevieve has been a certified doula (CD) as she certified through DONA-International in 2002, and is a licensed professional counselor (LPC) with a master’s degree (MA) in Transpersonal Counseling Psychology since 2005. She continues to attend and facilitate regular trainings/workshops to further her current knowledge and expertise. We have supported over 400 births collectively and have 30 years of combined birth and family work experience. Our work has been literally (geographically) and metaphorically expansive in its support of women and families in many capacities. We believe every kind of family deserves support; we welcome, respect and rejoice in each family it is! We feel strongly about the importance of the doula's role in supporting the birth partner(s) as well as the birthing person, and have a lot of experience with diverse family structures. We work as a team to offer you uniquely expert care. We each first had the experience of working as individually-practicing doulas independently of one another. As a result, we are both intimately aware of the benefits of our partnered approach. Doula clients receive: more communication from us throughout pregnancy should families desire this level of support; a fresh, rested doula who is familiar to your family and with your birth wishes at all hours of the day and night; deeply connected doulas who have access to one another for peer consultation should new ideas/positions/support be needed during a labor; the benefit of attendance at our Parents with Babies Support Groups, included in our services. We absolutely work fluidly and seamlessly together as a team. We are highly connected within the birth/parenting world. Therefore, if you have a question, desire or concern we cannot answer we can connect you with the right support. We are continually providing referrals to others in the community and working hard to maintain a referral list of trusted and experienced practitioners. We are truly respected within our community - by care providers, practitioners and our clients. If you’d like references please let us know as we are happy to connect you with client(s) who have utilized our services. 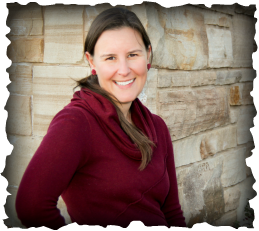 Maria Gonsalves Schimpf, MA, MT-BC, is a mama, music pychotherapist, and, as a DONA-trained doula, one half of Doulas of Boulder . A native of New England, Maria received her undergraduate degrees in flute performance and cultural anthropology from Peabody Conservatory and Johns Hopkins University in Baltimore, MD, respectively. Her first graduate degree was in international studies at The University of Wyoming where she used music as a tool for a psychosocial needs assessment of girl child mothers who had been abducted into the fighting forces in sub-Saharan Africa. As a research assistant to her mentor (a psychologist, women’s studies’ professor, doula and nurse), Maria began learning about both birth and maternal-infant attachment within this international setting. Maria’s Master's degree in music psychotherapy then followed and was received from New York University in New York City. She then completed her post-graduate training in Analytical Music Therapy - a synthesis of psychoanalytic theory and music therapy, utilizing music improvisation to interpret unconscious processes. While focusing on work with dually-diagnosed and/or victimized adolescents; their families, including their children; and the physical and psychological trauma within their lives; Maria began focusing on birth as it relates to maternal infant attachment. This served as her direct entry into birth work. While working as a child and family therapist at a nonprofit focused on serving victims of complex trauma, Maria began attending births regularly. She then experienced her own doula-supported, transformative first birth experience and then dove into full-time doula work for a number of years while she continued to grow her family and re-orient to the world as a mother. 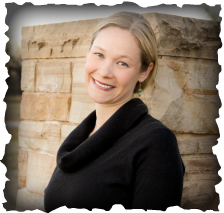 She co-created and was co-owner of one of Boulder’s first group doula practice, Boulder Doula Circle, and then, following the birth of her third child, co-founded and created Doulas of Boulder alongside psychotherapist and doula-extraordinaire, Jenevieve Russell. Maria has twelve years of experience working, presenting and publishing as a clinical music psychotherapist and has a special affinity for work with trauma, adolescents as well as new mothers and families. Her anthropological, international, clinical psychotherapeutic and birth work have all been the results of her desire to explore paths to self-inquiry and transformation. She is happy to have made her permanent home in Colorado alongside her husband and three small children who are each as unique as their births and all as happy to be thriving within this beautiful space in the world as she is.